Empowering smallholder farmers and engaging them in sustainable supply chains is essential for making the palm oil market more sustainable. To date, RSPO has been supporting smallholders through a variety of channels, but greater effort is needed to provoke large-scale inclusion of smallholders. This platform aims to connect smallholders with potential project partners, as well as providing additional resources and support. If you are a smallholder group looking for a project partner or a market player looking to support a smallholder project, register yourself today. Wild Asia Group Scheme (WAGS) is an initiative that provides a working model for independent palm oil producers to help improve their production, social and environmental practices. Through our experience with RSPO Group Certification, we now have a better understanding of not only the challenges of small producers but also how to effectively work with the different stakeholders in the palm oil supply chain; dealers, traders, mills, refiners and buyers. We are also working with local palm oil mills to implement systems and approaches to progressively increase the volume of traceable palm oil and to meet the “No Deforestation, No New Development on Peat and No Exploitation” requirements of sustainable palm oil production. 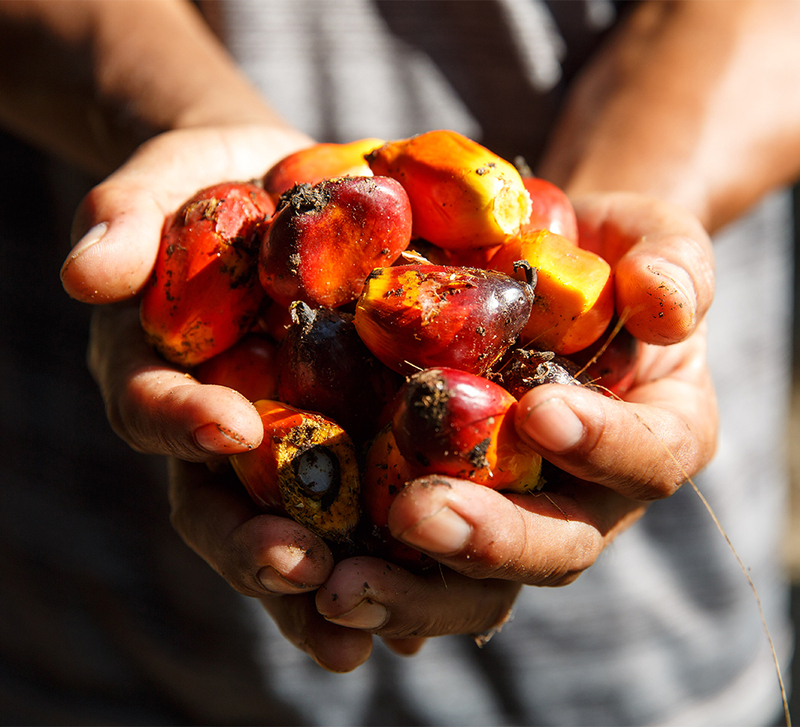 Key Perormance Indicators (KPIs): Progressive growth of WAGS-supported producers (area, total production), that are connected to one-many local (supply chain partners) partners and global palm oil suppliers (refiners). Solidaridad collaborates with Henkel and BASF to improve the livelihoods of palm oil smallholders in West Kalimantan. The project is implemented by Solidaridad in cooperation with partner Credit Union Keling Kumang (CUKK), Indonesia’s second largest credit union. 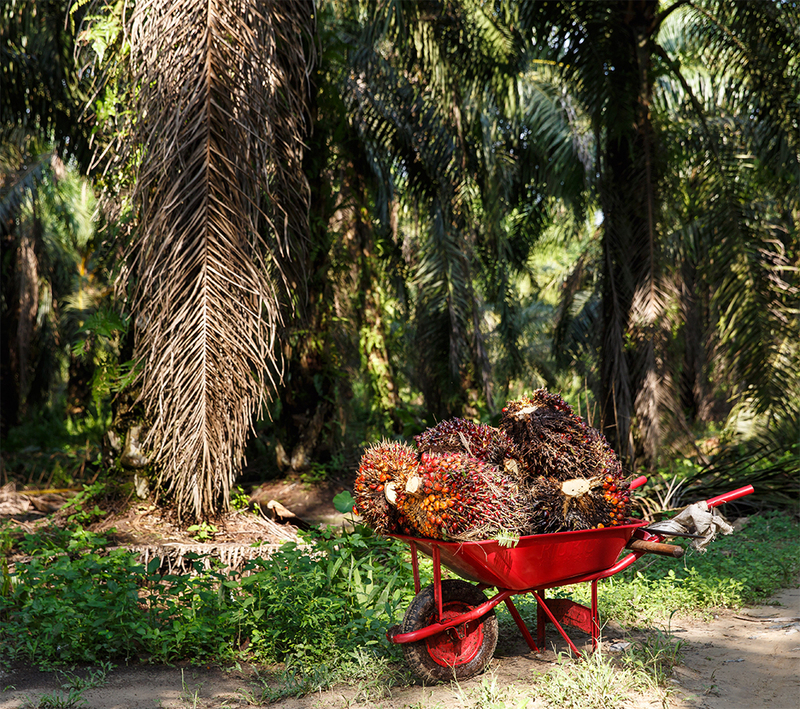 The project partners aim to establish sustainable supply chains for palm and palm kernel oil that both effectively improve smallholder farmers’ living conditions and are eligible for certification according to the RSPO Principles & Criteria. 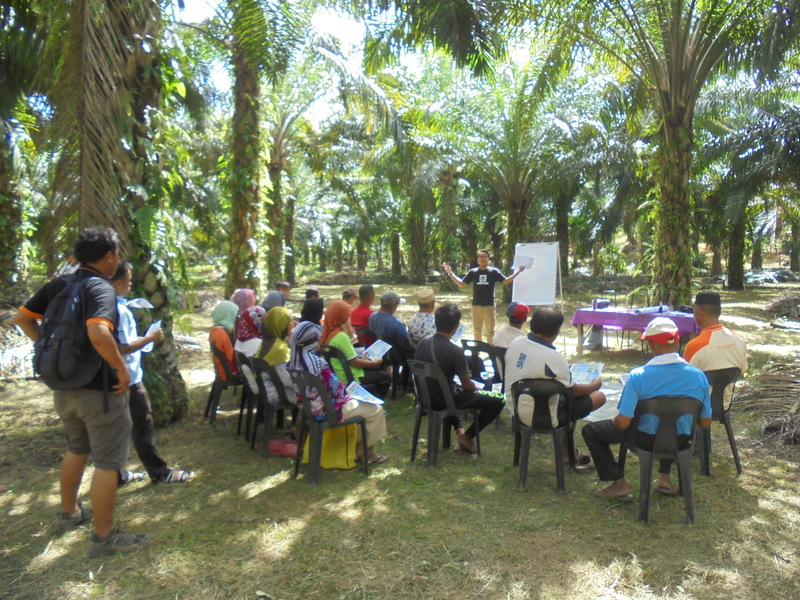 The project implements a Farmer Field School where oil palm smallholders are trained on good agricultural practices as well as farm management according to sustainable social and environmental standards. To date, 1,000 smallholders have graduated from the Farmer Field School. In addition, the project provides education in financial literacy so that farmers learn about responsible savings, spending, lending and investment. 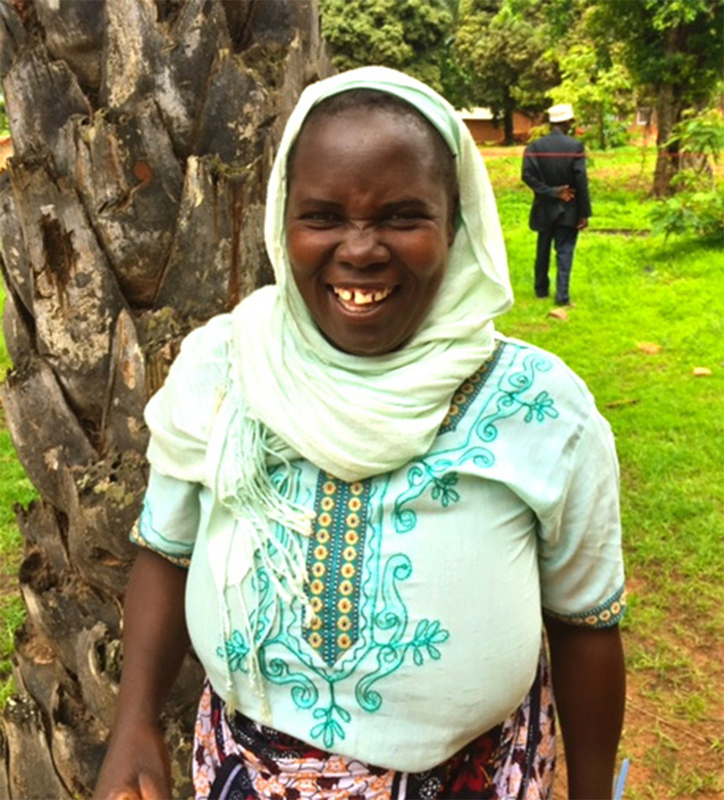 To date, 5,500 people (44% women) have graduated from the Financial Literacy course. The project aims to improve the living conditions of the people in the farming areas by improving agricultural practices, increasing yields and helping preserve forests. Oil palm plantations in Côte d’Ivoire cover an area of 250,000 ha, with an annual production of 420 000 tons CPO/year. About 70% of the FFB production is provided by 40 000 smallholders who operate on 180,000 ha and are grouped into 30 cooperatives. In 1995, these cooperatives were set up following the privatization of PALMINDUSTRIE (state company responsible for developing the oil palm sector and in charge of external services to the smallholders from 1963 to 1995). The smallholder’s yields ranged between 12 and 16 tons per hectare per year during that period. After privatization, cooperatives have taken over the extension delivery systems to the farmers. 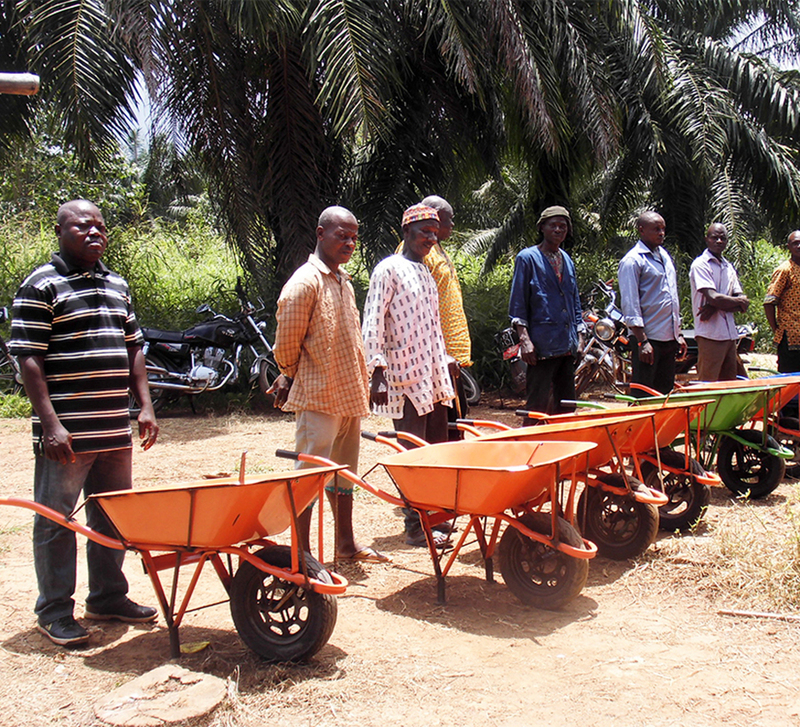 This support involved FFB collection from plantations to mills, agronomy, roads maintenance and inputs provision. Twenty years after, the results are mixed with lower yields (4 to 8t/ha). This low productivity is due to poor agronomy, limited use of fertilizer, limited renewal of old plantations, losses during the peak production and mainly the poor management of cooperatives. Only 10% of cooperative, run correctly in 2012 and currently no plan is implemented to effectively strengthen the capacity of these groups of smallholders. Without support these cooperatives go directly out of the business and famers will be devoid of any assistance. With increasing demand for RSPO certified palm oil (3 of 5 major oil palm companies are in the way to obtain RSPO certification in 2016-2017) coupled with the fact that smallholder cooperatives supply more than 70% of FFB required by oil palm processing mills, cooperatives will be left out of the supply chain if they didn’t attain RSPO certification. These groups however, don’t have the capacity to pay for assistance to obtain RSPO certification. 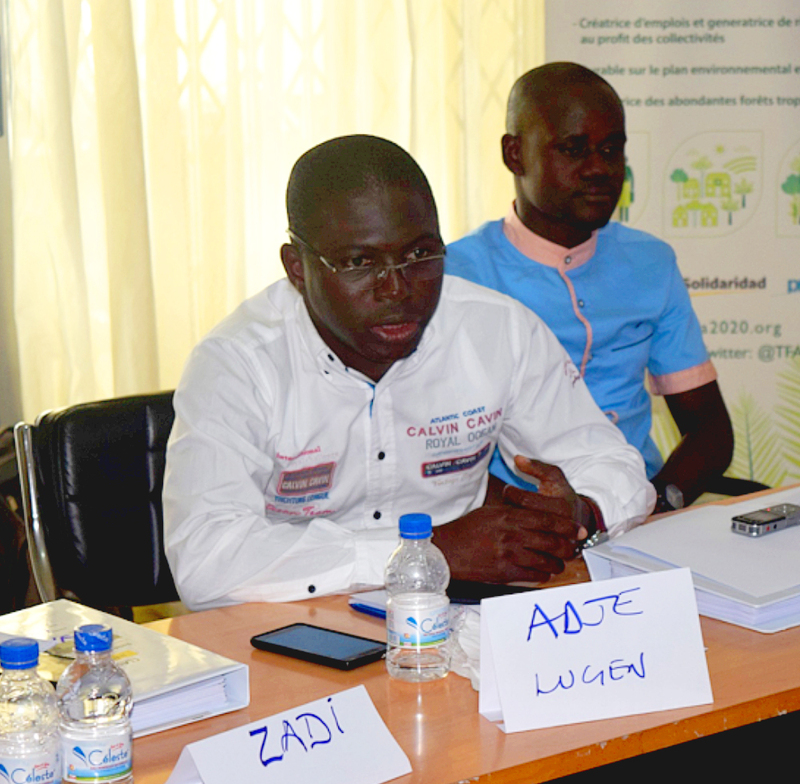 This project will cover an area of 15 000 ha with 5 000 farmers and it implementation will influence the awareness of RSPO in Côte d’Ivoire, which is the only CPO exporter in West Africa. Telah dilakukan surveilans pada bulan Februari 2016, dan pada tanggal 17 Juli 2017, sertifikat untuk surveilans ke tiga telah dikeluarkan oleh TUV Rheinland. Surveillance was conducted in February 2016 and the certificate was issued by TUV Rheinland in July 2017. Nedoil Ltd operates a crude palm oil (CPO) mill at Yele town, Gbonkolenken Chiefdom, Tonkoliki district in the Northern province in Sierra Leone. The fruit is collected from its own plantations and from external suppliers adhered through a smallholder program. 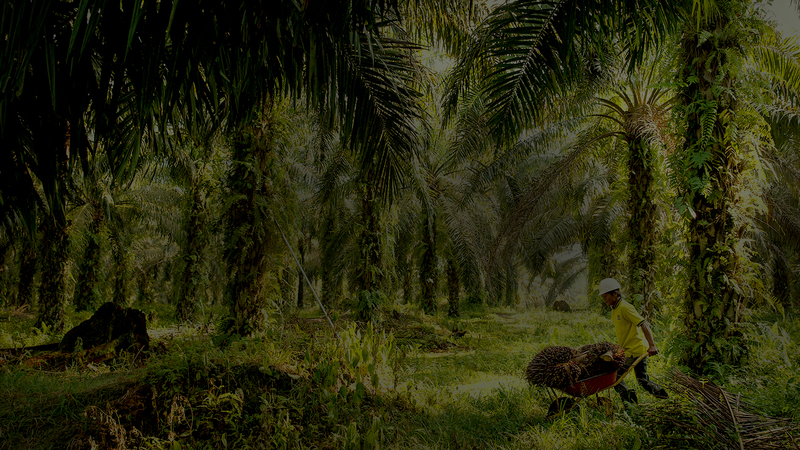 Currently, Nedoil has a CPO mill of 3tons/hour capacity, 71.5 ha of oil palm concession and 1842 smallholders (4681,10ha) network acting as oil palm fruit suppliers. This network covers 5 chiefdoms: Tane, Gbonkolenken, Valunia, Niawa Lenga and Bagbe. RSPO certification of 3000 independent smallholders. 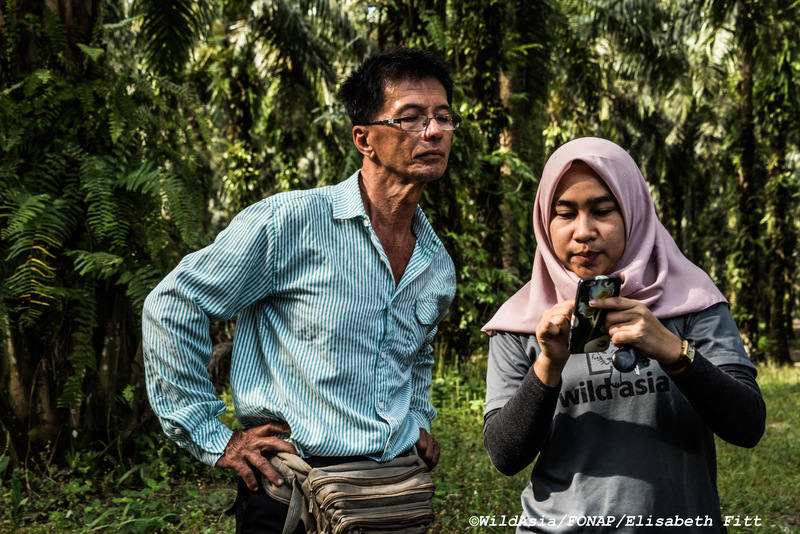 3000 Independent smallholders are trained in all aspects relevant to an RSPO certification. Smallholders are trained on good agriculture practices and good management practices to improve FFB yields. Independent smallholders are trained in biodiversity conservation and environmental impact mitigation. Independent smallholders are organised into FFS/FBO associations and participate in an internal control system. 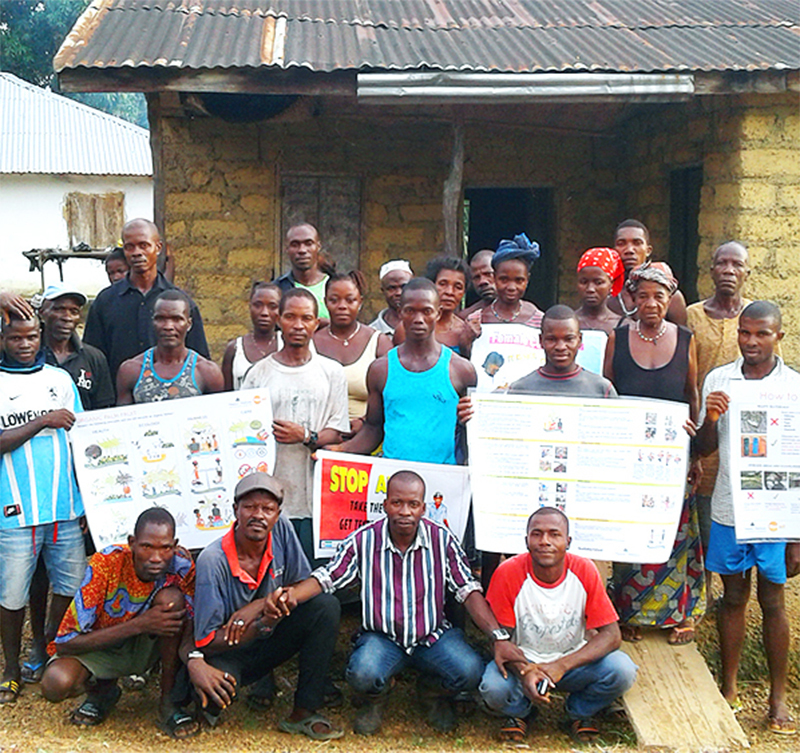 Independent smallholders get land rights in Sierra Leone. Independent smallholders are successfully certified against the RSPO standard (2000 farmers by the end of year 1 and additional 1000 farmers by the end of year 2. 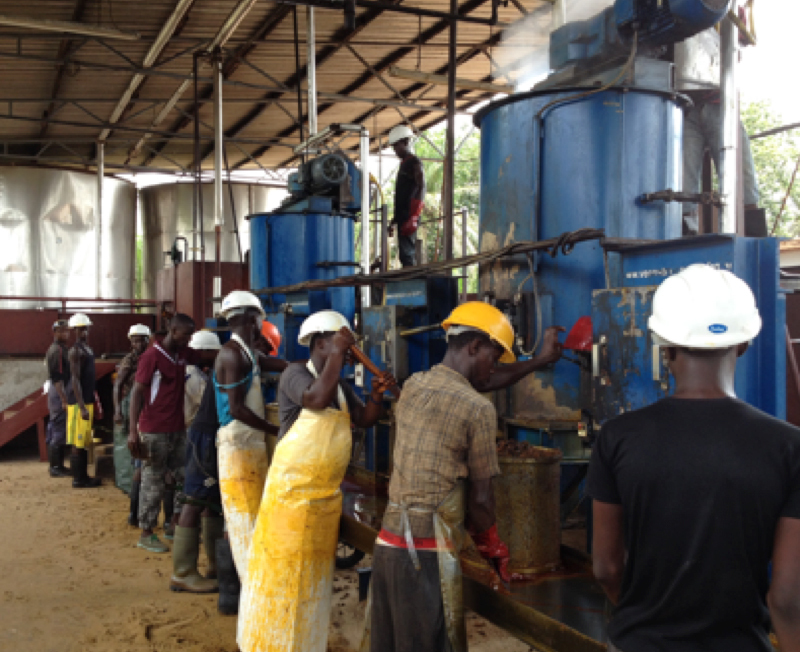 There are more than 20,000 independent smallholder oil palm farmers supplying FFB to medium and large scale oil palm processing mills in Ghana. However, these farmers do not receive any training or extension support from the processing mills and even government extension agents. Due to the fact that they are not organized into recognized groups, they receive no support from NGOs and or development partners. The average yield of these farmers is around 4 tons of FFB per ha per year; about 25% of what it could be. Poor agronomy, limited use of fertilizer and use of low yielding planting materials are the main causes for the low yield levels. 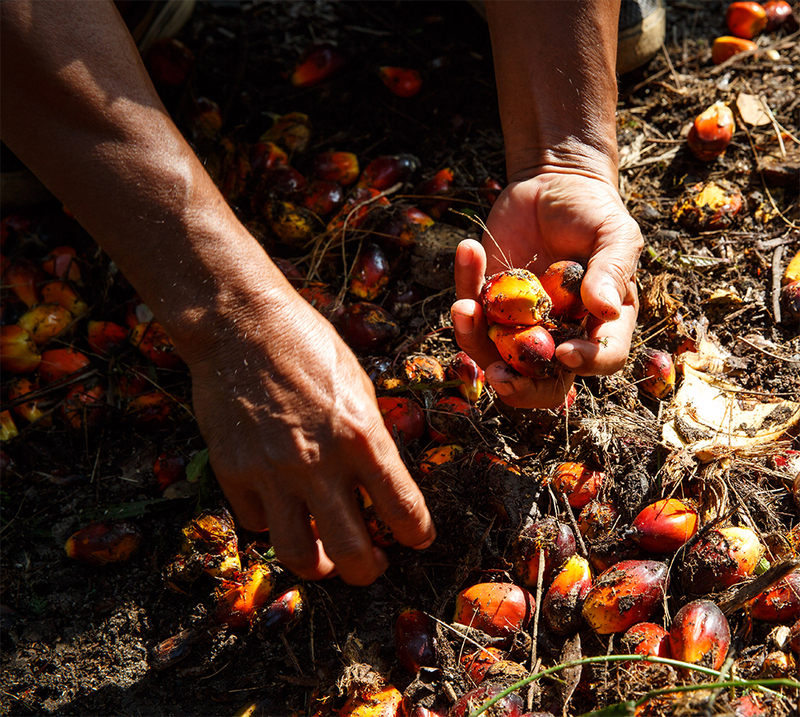 With increasing demand for RSPO certified palm oil coupled with the fact that smallholder farmers supply more than 70% of FFB required by oil palm processing mills, smallholders will be left out of the supply chain if they did not attain RSPO certification. These farmers however, do not have the capacity to pay for assistance to obtain certification. To ensure that they are integrated into the oil palm supply chain, funding was sought from the RSPO Smallholder Fund to assist 2000 independent smallholder farmers in Ghana to go through the RSPO certification process. In Nigeria, palm oil production is still very much dominated by the small-medium scale producers. Of the total palm oil and palm kernel output, production from the natural groves and smallholder plantations account for about 89% while production from the large estates account for about 11%. The project therefore is supporting these farmers to improve upon their yields and incomes through training and demonstration of best management practices using the farmer field school approach. Farmers are also been supported to go through RSPO certification to open market opportunities for them. These smallholders will be out of the international palm oil supply chain if they did not attain RSPO certification by 2017 as the major buyers of CPO from Nigeria have set 2017 as the cut-off date after which they will not buy non-certified CPO. The Project therefore aims to make sustainable agricultural practices the norm for at least 1,000 independent smallholder farmers through RSPO Certification by the end of project. 20 independent smallholder groups capable of lobbying for inputs and extension support services by the end of project. At least 75% increase in yields and incomes for at least 1000 independent smallholder farmers by end of project. 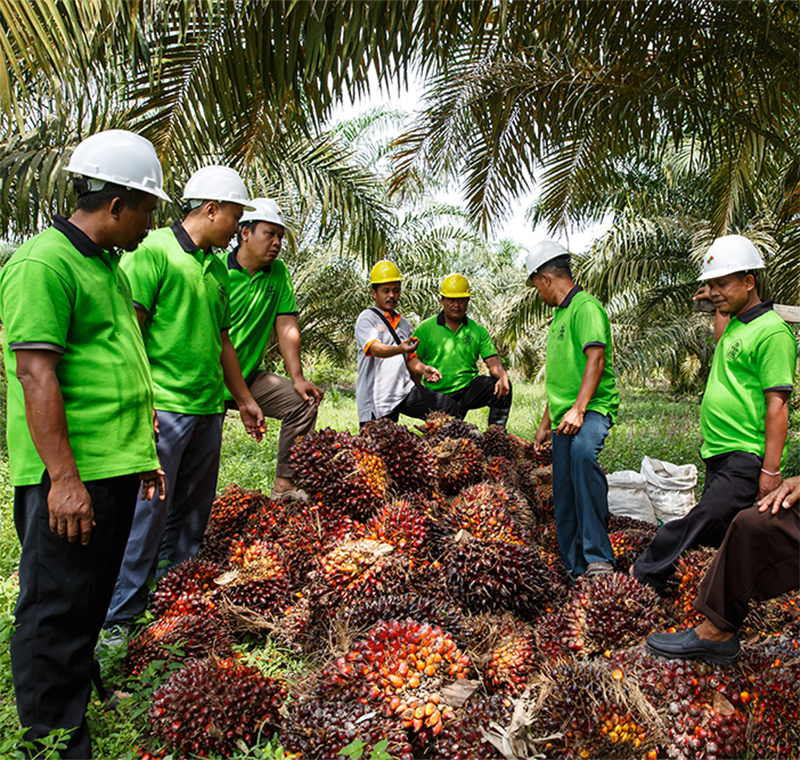 At least 1000 independent smallholder farmers attained RSPO certification by end of project. The background of the project is we think that we have to organized all of smallholders in our village. We were starting the certification process in 2012. We want to set up the smallholders group to be organized so that we have more bargaining power. Also we want to increasing our welfare by enhancing our land productivity. Some of activity in the certification process is increasing capacity member such us training, etc. Wild Asia Group Scheme (WAGS) is an initiative that provides a working model for independent palm oil producers to help improve their production, social and environmental practices. Through our experience with RSPO Group Certification, we now have a better understanding of not only the challenges of small producers but also how to effectively work with the different stakeholders in the palm oil supply chain; dealers, traders, mills, refiners and buyers. We are also working with local palm oil mills to implement systems and approaches to progressively increase the volume of traceable palm oil and to meet the “No Deforestation, No New Development on Peat and No Exploitation” requirements of sustainable palm oil production. Expected Outcome: Sustainable agriculture enabled through a network of self-supported extensions providers working in a continual improvement system. Recognises that Certification is not a goal, but part of a process, to work through challenges, unlock opportunities to promote change at a local level - for social and environmental benefits - for all. Key Performance Indicators (KPIs): Progressive increase of WAGS-supported producers (area and production), connected through local (supply chain partners) and receiving palm oil refineries. Key Perormance Indicators (KPIs): Progressive increase of WAGS-supported producers (area and production), connected through local (supply chain partners) and receiving palm oil refineries. If you are part of an oil palm smallholder group and are seeking potential financial or non-financial support, we invite you to participate in this platform. It provides an opportunity for you to connect with facilitators or market players and create more awareness about your project. You can access more information on smallholder projects by clicking “read more” once you login to the platform. To express interest in supporting a smallholder project, please click the button below. If you are an organisation that provides services or can support oil palm smallholder groups in need of assistance, we invite you to participate in this platform. You can access more information on facilitator details by clicking “read more” once you login to the platform. If you would like to have your project displayed on the platform, please click the button below. either financially or non-financially, we invite you to participate in this platform.